Peter Jackson is a New Zealand Hall of Fame table tennis player, 3 time Olympian and attended 5 World Championships representing NZ and many other international events. He was a 2 time Oceania Champion and 2 time NZ Mens Singles Champion. He was kind enough to do this interview with me. Thanks Peter. I started playing table tenis whenI was about 7 years old. We had a table tennis table in our garage which was always up and my mother and older brothers all played along with my father who was NZ champion several times. There were several highlights. 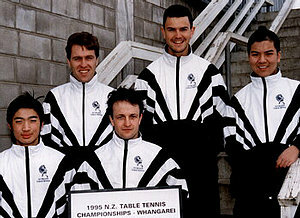 Winning the 1993 NZ Men’s singles title defeating Barry Griffiths in the final after losing to him in the final 5 times. Winning the NZ Men’s singles title in 1990 after losing in the final 5 times. 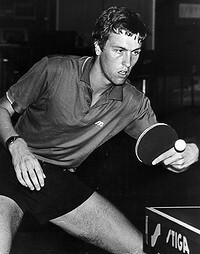 Winning the Oceania Men’s singles title in 1990 and 1996. Competing in the Oympic Games was also a highlight and winning the Oceania Olympic qualifying tournaments in 1991, 1996 and 1999 were big highlights. How do you feel the game has changed playing now from when you played yourself? 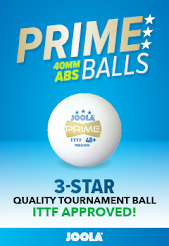 The game has changed a lot with the new rules for scoring and the larger ball, the banning of speed glue and the implementation of more strict rules regarding service. Rallies are slightly longer now which makes the game more physical. More specifically what is it do you think that allowed a higher standard of players in New Zealand in your era as a Senior Representative than those in our teams now? I think there are many other sports and activities that interest the youth of today more than table tennis. Table tennis needs to try new things to make the game more interesting to the youth of today. Barry Griffiths. We were mostly in the same age group as juniors and were almost always competing against each other in tournament finals in Auckland and in NZ competitions. Tell us a bit about where you trained and where you played during the peak of your career and how it differed from NZ. In 1988 I travelled to Europe and after palying professionally in England for 1 ½ seasons I moved to Belgium. This was where I was fortunate enough to be able to train with the Belgian national team. I was also able to compete in many International tournaments in Europe from 1989 to 1995. The top player from Belgium at the time was Jean-Michel Saive who was ranked number one in the world in 1995. The intensity and quality of the training was much better that what I could experience in NZ. You are a bit of a family man now, do you still get the opportunity to play much? I still play for a club in the national league in France but not at the same level as before. I still enjoy playing and trying to find ways to beat the younger players. I am left-handed and play a topspin style game from both backhand and forehand. I would often try to execute counter topspin close to the table from the forehand side. I think that table tennis needs to try new ways to attract youngkids to the sport. Innovations like 20/20 cricket are what I think is needed. Increasing the base is the only way that NZ table tennis can succeed. Waldner is exceptional in table tennis. Otherwise Roger Federer. Tennis or Table Tennis?I have never been much interested in tennis. Played in many NZ teams with Barry Griffiths along with Hagen Bower and Shane Laugesen in later years for NZ and Auckland. Several of these players were ranked around 30 in the world when I defeated them. Can’t think of anyone in particular. 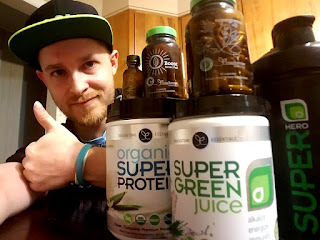 You will need to train hard and try to find the style of game that works for you. Be prepared to innovate and also to learn from other players. I guess all of your old friends and team mates and all those who have been inspired by your results and history for table tennis in New Zealand would like me to ask this one: Can we expect to see you gracing the tables in New Zealand any time again in the near future? I don’t think it is likely I will be playing again in NZ but you never know. I am now settled in France with my wife and 2 children and don’t see moving to NZ as a likely option in the near future. Pre-match Preparations: For Lucks Sake!